Welcome to Blowout Tuesday where we blowout the prices on two hairs, one for men and one for women, and trim their price by 50%. What a better day to get a new haircut but with a price cut. Blowout Tuesday today at Damselfly Hair. Blowout Tuesday at Damselfly for Half Off! Damselfly Blowout Tuesday at 50% Off! Damselfly Half Off for Blowout Tuesday! 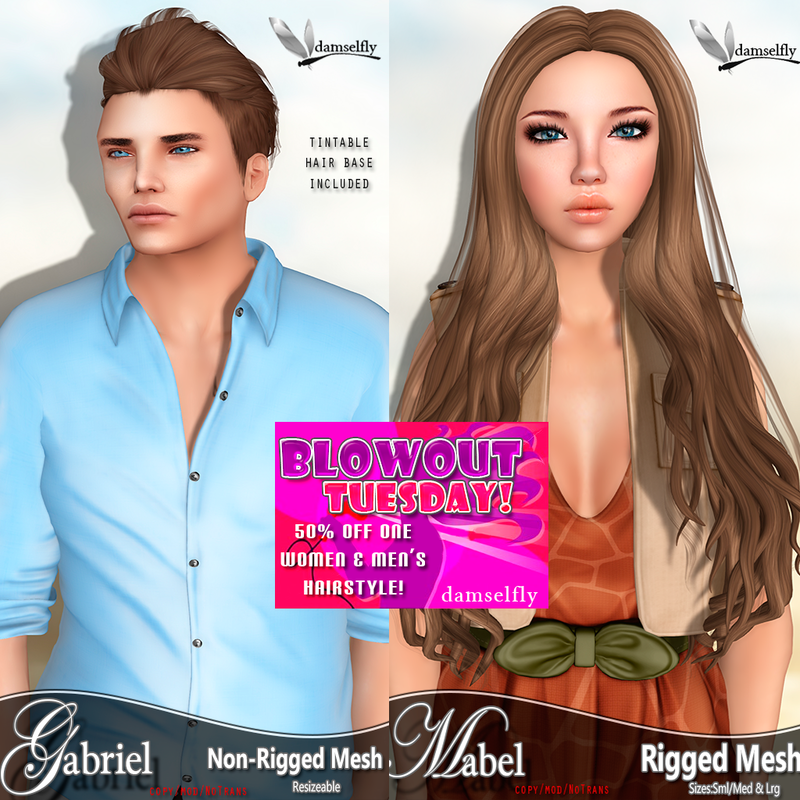 Blowout Tuesday at Damselfly–50% Off! 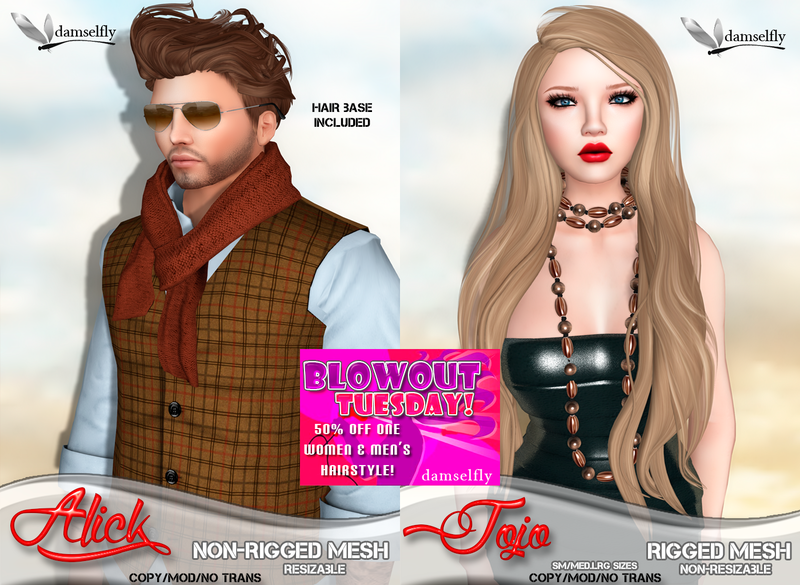 Blowout Tuesday at Damselfly–Half Off!